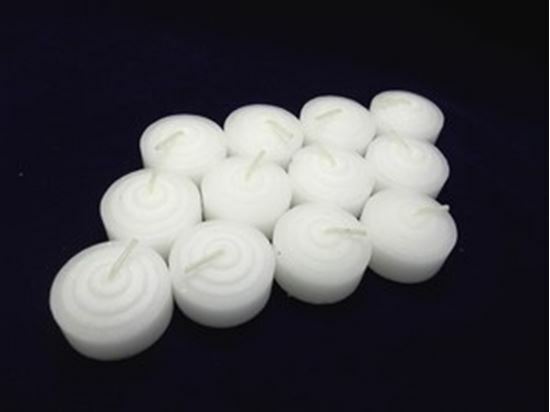 Unscented, white tea light candles, without containers. The top of the candles has graduated ridge-like layers. Each candle may be placed in any size-appropriate candle holder. Approximate measures .75 inches tall and 1.5 inches across. Burns 4 hours. Packaged by gross (144 candles).